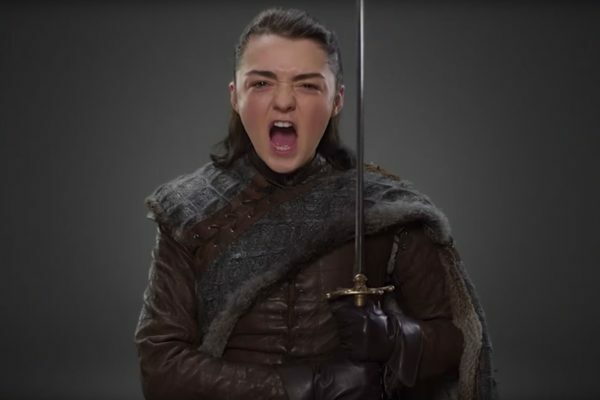 Maisie Williams just publicly put down Needle and let go of her Game of Thrones alter ego, Arya Stark, in a bloody farewell. After playing the feisty Stark for a seven year stretch, seemingly longer than it took Daenerys Targaryen to get to King’s Landing, Maisie has finally wrapped on filming for the eighth and final season of the HBO hit. Arya Stark has had a tough old time of things in Westeros pretty much from day dot when her dad died, and the character has experienced one of the most interesting narrative arcs of the show – inspired by George R. R. Martin’s book series. Spoiler: She’s gone from sweet youngster to relentless murderer, having been hardened by tragedy and driven by vengeance. Her journey has brought her back to where it all began, as most of the characters seem to be convening at Winterfell. 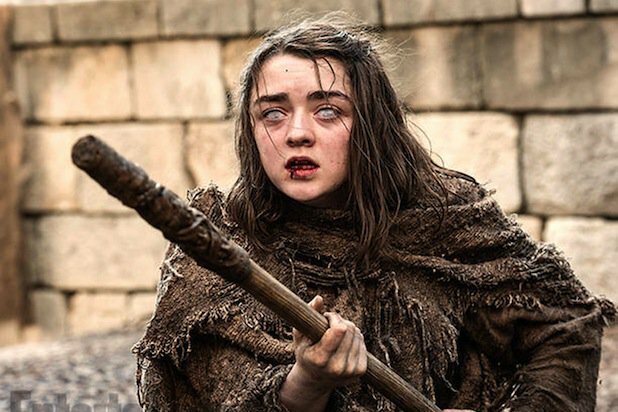 Along the way, Arya Stark has become something of an anti-hero. So it only makes sense the fate she’ll befall would be bloody. 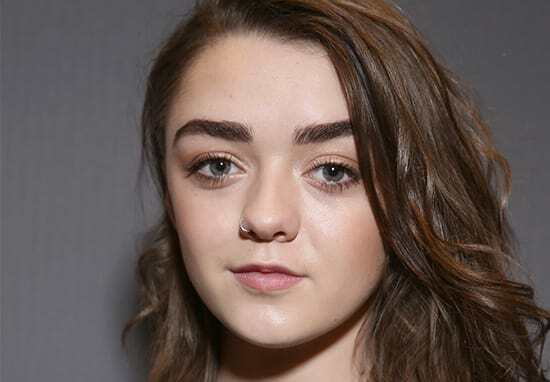 Now the 21-year-old actor who plays Arya, Maisie Williams, seems to have confirmed the assumption with a farewell Instagram post, accompanying a photograph which has some real Red Wedding vibes. While the photograph of her white trainers covered in prop blood suggests it doesn’t end well for Arya, it’s the caption which has tongues wagging like Littlefinger. If hashtags are to be believed by the gullible masses, it seems either Maisie is the last woman to wrap on Game of Thrones season eight, or her character is the last woman in the show to be left alive. Many of her fans went into a tailspin after the Instagram post was shared yesterday (7 July). Last woman standing? Is this supposed to be some spoiler. The latter would seem an odd thing to share on Instagram, as we know the cast and crew of Game of Thrones are held to strict diktats about spoilers, especially for the feature-length six-episode final season. Maybe Maisie has taken a leaf out of the Arya Stark playbook, thrown caution the wind and authority, and started spreading rumours like wildfire now she’s no longer a part of the show. On the other hand, she’s always been sincerely appreciative of her little HBO family and the opportunities the role afforded her and her co-stars. She won’t be short of work either way. Either way, all the best with your future endeavours, Maisie! You and Arya have given us endless hours of terror and enjoyment. Game of Thrones season eight is expected to be released in the UK sometime in 2019.